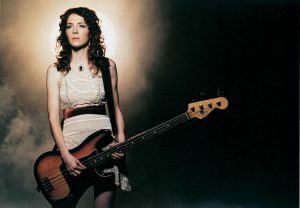 Former bassist for The Smashing Pumpkins and Hole, Melissa Auf der Maur released her debut solo album in 2004, the self-titled Auf der Maur, which received a great deal of critical acclaim, and established Melissa as a unique and talented songwriter in her own right. Six years later came the long-awaited follow-up, Out of Our Minds. This is part of a multi woven concept project with roots in Viking lore, alongside a short film, comic book and interactive website which have all been overseen by Melissa herself. The Viking concept behind it might seem silly, but don’t let that put you off an otherwise decent album. 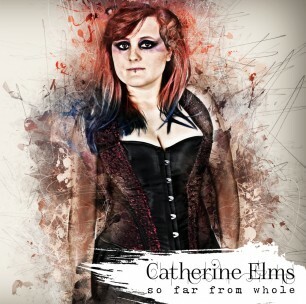 In some ways, her song writing has developed since the first album. Whereas Auf der Maur was a well written – but unadventurous – rock album, Out of Our Minds is far more experimental and artistic, with 70s progressive rock influences shining through. Her talent with writing melodic hooks has developed too, with certain songs on this album getting stuck in your head for days, especially the tracks Isis Speaks and Meet Me on the Dark Side. The latter track is stunning, with some wonderfully creepy vocal work by Melissa – it gives me shivers to hear her growl about “sucking and kissing in [her] bad girl boots”. Father’s Grave is another great song, with the haunting guest vocals of Glenn Danzig (founder of the band Misfits) working well with Melissa’s feminine wails. In other ways, this album doesn’t nearly match the high standard of the first. One notable difference is the lack of standout tracks. Auf der Maur was an excellent album insofar as eleven out of the twelve songs were standout tracks, worthy of being released as singles. With Out of Our Minds, only four or five out of twelve stand out at all, with the rest blending together as mere ‘filler’ tracks. There are too many lacklustre instrumentals that add nothing to the album, and a few of the songs (such as The Key and The One) are just plain boring, middle-of-the-road rock. MAdM’s debut album was stunning, and remains a huge favourite of mine. However, Out of Our Minds doesn’t quite match up to the same high standards. And therein lies the problem: after such a powerful and exciting debut album, the long-awaited follow up feels very limp in comparison. It’s a decent album, yes – but for Melissa Auf der Maur, ‘decent’ should be a big disappointment.